Premium-Line Category 6A shielded patch panel fully shielded design optimizes shield effectiveness protection from EMI an alien crosstalk. It complies with ANSI/TI-568-C.2, ISO/IEC 11801 and EN 50173-1 Class E specifications, supports T568 A&B wiring and easy installation. The complete module complies with EU RoHS directive. The construction in standard 1U 19″ size suits all 19″ rack installation. The main metal frame and rear back cover are made of SECC material, with the thickness over 1.0mm. Premium-Line Category 6A 0.5U shielded patch panel provides high density solutions which simplify and speed up the deployment and servicing. It is designed to provide maximum flexibility and high performance for all 10G networks. 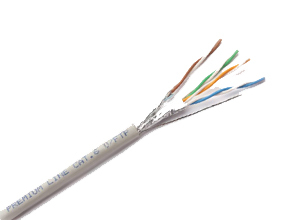 Performance conforms to proposed Cat.6A Permanent Link/Channel requirement of ANSI/TIA-568-C.2, ISO/IEC 11801 and EN 50173-1 Class E specifications. 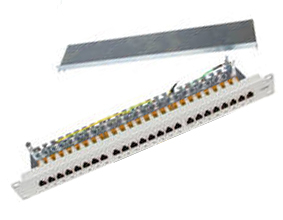 Premium-Line Category 6A 0.5U shielded patch panel is in standard 19″ but in 0.5U size on the purpose of rack space saving. 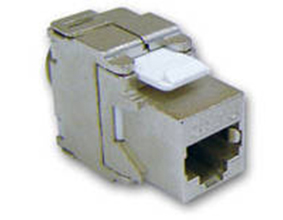 There are 24 ports in 0.5U or 48 ports in 1U with performance for 10 Gigabit Ethernet can be used and that is conformed to the standards for data centers ANSI7TIA-942 and ISO/IEC 24764.